I have written more than once about Professor Sir Rory Collins. He leads the Cholesterol Treatment Trialists collaboration in Oxford, UK. Periodically, this group takes (private) statin study data and churns out bold pronouncements on the (supposed) great effectiveness and safety of these drugs. Professor Collins recently tried to get the BMJ to retract two papers that were faintly critical of statins. A committee convened by the BMJ to look into this matter found there were no grounds for retraction. This episode centred around the claims made in the BMJ papers that regarding the adverse effects of statins. Professor Collins maintains that the papers overstated the hazards and, as a result risked putting people off taking statins, which (according to him) ‘risked lives’. One line of attack taken by Professor Collins is the fact that while some claim that muscle problems appear to be quite common in those who take statins, randomised controlled trials fail to support this. In fact, these studies typically find that muscle damage is very rare. Professor Collins was the lead investigator in a huge statin study (known as the Heart Protection Study) which found that ‘myopathy’ was only found in 0.05 per cent of people taking a statin. Here you will find Professor Collins quoting this figure in support of the safety of statins. 0.05 per cent is a stunningly low rate (just 5 in 10,000 people treated). Does it reflect reality? First of all, take a look at this table from the Heart Protection Study. It gives the rates for myopathy with and without ‘rhabodomyolysis’ (a condition where the damage is so bad the muscles basically go into meltdown). Rate of myopathy without rhabodomyolysis is 0.05 per cent, but with rhabodomyolysis the rate is also 0.05 per cent. This means that the rate of myopathy is actually 0.1 per cent (0.05 + 0.05 per cent) – precisely double what Professor Collins claims it to be. I think it’s interesting to consider first of all how myopathy is defined in Professor Collins’ study. When muscle is damaged, it can liberate a substance known as creatinine kinase into the bloodstream. So, elevated levels of creatinine kinase point to muscle damage. Whether levels of a biochemical marker are considered normal or not depends on ‘normal ranges’ that generally encompass about 95 of the population. What this means, in effect, is that for someone to have a ‘raised’ creatinine kinase blood levels would have to be in about the top 2-3 per cent of the population. However, in the HPS study, myopathy was only diagnosed when creatinine kinase levels were more than 10 times the upper limit of normal. Here you will see the normal range for creatinine kinase cited as 55 – 170 units/litre for men. In other words, using this normal range quoted above, myopathy would only be diagnosed once creatinine kinase levels were above 1,700. Wow – that sets the bar pretty high. What about lesser degrees of muscle damage? What about muscle symptoms (including muscle fatigue) where no elevation in creatinine kinase is seen (possible)? But is there anything else about the Heart Protection Study that means it would be unlikely to pick up problems that may occur more frequently in the general population? In the Heart Protection Study study, a total of 20,536 people were randomly assigned to take statin (simvastatin) or placebo. However, a total of 32,145 were recruited into the study to begin with. What happened to the 11,609 people who did not make it into the study proper? The Heart Protection Study employed a ‘run-in period’ which all 32,145 people were entered into. For 4 weeks, individuals were given a placebo which, according to the researchers, allowed assessment of biochemistry including creatinine kinase. After this, individuals were treated with simvastatin for 4-6 weeks. This was, according to the researchers, “to allow a prerandomisation assessment of the LDL-lowering “responsiveness” of each individual.” This makes it sound as though if simvastatin did not have the ‘desired’ effect on someone’s cholesterol level, they would be removed from the study. If so, I’d say that is not the most scientific way of assessing the impact of this drug in the general population. But, elsewhere in the paper we are told that: “36% [11,609 people] were not subsequently randomised: 26% [8,358 people] chose not to enter the trial or did not seem likely to be compliant for 5 years…” But there is no detail given here. Why would people decide not to enter a trial after participating in a run-in period? One reason could be that they suffered unacceptable side-effects. And side-effects might also be the reason someone seems unlikely to be compliant for 5 years. Whatever the facts of the matter here, one thing that is clear is that the run-in period in the Heart Protection Study had the potential to screen out many people who suffered from adverse effects from simvastatin including muscle symptoms. In short, the study was designed in a way which makes any extrapolation to the population at large completely inappropriate. Any attempt to generalise its findings to the wider population is, I think, either a sign of gross scientific naivety or outright intellectual dishonesty. 29 Responses to How accurate are Professor Collins’ claims about the rates of muscle problems with statins? Some reasonable points made here, although I think you’ve omitted a key bit of data from the paper which would have given a more balanced picture? [of the 36% not randomised] “….2% attributed various problems to the run-in treatment (with about half doing so before starting any simvastatin)….”. To me that describes those patients who chose not to continue because of side effects and who told the study staff that this was the reason for leaving the study. As for the 26% you quote, there can be a myriad of reasons why patients decide not to be randomised into a trial. Very often they may not provide a reason, which is, of course, entirely up to them. A key thing with this particular trial was making the commitment to five years of treatment and follow up, including at least two clinic visits a year (at which blood samples were taken). It’s not surprising that many patients ultimately decide not to commit to this. Recruitment into any RCT can be challenging for varying reasons, and, yes, this can affect the generalisibility of their results. Do you have data on the sorts of ‘various problems’ that occurred while taking simvastatin? Do you know how exhaustively or extensively the investigators enquired about and logged potential adverse effects in this study? Would be good to know this, to make sure problems did not ‘go missing’. Yes, all true, except because the study publication is short on information in this area (to put it mildly) we can only speculate. Which is exactly what I was doing when I suggested that some people may have dropped out because of unacceptable side-effects. But let’s take your comment at face value, and assume for a moment that many people dropped out because of the arduous nature of the study. This, of course, introduces another source of bias, doesn’t it? Because now only generally highly motivated individuals go forward into the study proper, and these are just the sort of people who may want to see things through and not recognise or complain of side effects. These people, therefore, are not necessarily representative of the general population and there risk, again, is that side-effects are underestimated. Thank you so much for the link to the CTSU’s statement on funding. I had not mentioned funding, so why be so defensive? Also, can you shed light on why the CTSU felt the need to issue a statement on funding in 2014? Why not be (apparently) transparent about its sources of funding, say, decades ago? And also, would you have any comments to make about this article http://healthinsightuk.org/2014/07/18/five-worrying-questions-about-statins/, in which the author makes the point that the CTSU/CTT funding is not actually very transparent – one reason for this being that the MRC gives funding which, it seems, might be derived from the pharmaceutical industry? What do you make of the fact that Professor Collins quotes a figure for myopathy that is precisely half what he found in his own study? Do you think there was any intention to mislead here, or was it just a slip up? Would you like to declare and special interests or conflicts of interest of your own as it relates to the CTSU and its research? With transparency in mind, this sort of thing is sometimes useful to know about. I know a lot about this study because I worked on it for many years (but I left CTSU several years ago). I don’t by any means profess to know everything, but I do know that patients were asked about any possible adverse events at each appointment – all were recorded, coded and entered into the database, so no possible problems would have ‘gone missing’. While I agree that a more detailed breakdown of the numbers would be useful, that doesn’t mean you should assume the worst. With regard to your paragraph on motivation bias I think pretty much the same issues arise in clinical practice as happened in the trial: motivated individuals are likely to try a statin, and persevere with collecting prescriptions and taking the drug, and skeptical or unmotiovated individuals are not so likely. The trial results are relevant to those motivated individuals. I cannot access the link for the 0.05% myopathy you mention (I get a login screen), but perhaps Professor Collins is quoting data from a meta-analysis, rather than just a single trial? 3) whether there was an interaction. This is essentially what I stated below. The study was a 2×2 factorial but the 2×2 analysis was never published. Frankly there is so much data that is obviously missing that would for example help to confirm or repudiate the role of “cholesterol lowering” as causal that; like Dr de Lorgeril, I distrust this work. 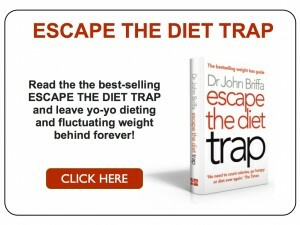 It was, and is, no more than an infomercial to promote the sale of a statin. The the original launch of this study is evidence of that, were it needed. Also very interested by Mark’s response especially in connection with the funding statement. Rather than being open and transparent, getting details of CTT funding has been more like pulling teeth and quite a number seem to still be in the mouth. Until a few months ago the statement on the front of the CTT website was clear – if very misleading – funding was simply from from BHF/MRC/Cancer UK etc (BMCU for simplicity). BMCU was also cited in various “interests” statements in papers. At first I thought that was a full statement of interests. But reading it more carefully I realized it said it was telling us about money “for the CTSU’s “coordination” of CTT,” I don’t know what that actually means but it sound as if it is a bit of administrative petty change.Was it intentionally misleading? Only sir Rory knows. The picture got a bit clearer 2 weeks later with another email from Sir rory which provided a document showing that, among others, Merck had provided (friom memory – links to it are in the HealthInsightUK.org article cited in John’s original post) 213 milion to CTT. Now this provided a quite different picture from the standard BMCU account. Interestingly the high level of drug funding has remained almost totally hidden- I don’t think any of the reports in the press of the committees findings reported it and, significantly, even when the BMJ published a summary of what the committee had found it was also left out. Yet if you look at it you will see it includes a number of payments from them. Are they actually all the payments or just a few random ones? And if, as the new statement of CTT policy on conflict of interests suggests – link provided in Mark’s letter – it is BMCU that provide the “core support” then how much is it? Is it really more than the 260 or so million coming from commercial sources? I think confusion might arise when differentiating between the cost of the clinical trials, and the cost of the meta-analyses (CTT perform the meta-analyses). Put simply, the trials themselves are very expensive – 200 plus million sounds about right for the cost of performing all the trials (over many years). HPS on its own cost over £20 million. The cost of CTTs work will be much, much, less since their role lies in collating the individual patient data from all the different trial databases from around the world, and then analysing it. Mark – Seems sensible that a meta-analysis would be cheaper than a trial but not sure what your point is. The questions are: a) why the pretense that it is just charities that fund CTT? b) what is the ratio of charity funding to pharma funding? I’ve recently seen a FoI response from the MRC about the funds they have given to CTT/CSU over the last nine years and they total about £23 million. Not bad I guess but nowhere near the sums we now know have come from pharma. I would have thought it unlikely that either Cancer UK or or BHF have provided more than that since they both need to fund their own programs. Any information on that? So is it the case that CTT is actually largely funded by drug companies? It seems from what you have said so far that you are pretty relaxed about these issues. True? But to me and others they seem crucial when attempting to answer the simple question – should I take statins? We are now in a different regulatory climate from the early 80′s when the original CTT/pharma deal was done. We know that drug companies can hide unfavorable results manipulate statistics etc etc. Until CTTT’s vaults of data are opened there is going to be a sceptical question mark hanging over its claims, Witness John’s original post here. The doubt is reinforced by the admission that CCT don’t have most of the side-effect data. Without that their analyses have to rely solely on published trials for their estimates. Do you feel they are reliable? Without independent verification how on earth can CTT make believable claims about the risk/benefits ratio? You have been making some plausible theoretical points about why the CTT data is fine, if we are going to take you seriously it would help if you addressed the three concerns set out here. Collaborative meta-analysis would cost peanuts compared to funding trials (i.e. an easily affordable amount for BMCU without any need for other sources of funding). The statement on the CTSU website says that CTT is not funded by industry. The HPS paper makes clear that the study was designed, conducted, analysed, and interpreted by the investigators entirely independently of all funding sources. I believe this is the case for many (and perhaps all) of the trials which comprise the CTT dataset. From working at CTSU for many years I’ve never had any reason at all to doubt the statements of independence. The CTT and CTSU staff are independent researchers. Independent researchers reporting that there was no evidence of efficacy and there were important side effects. A product which Merck now has to pretty much forget about. Doesn’t make the headlines though. Another issue to consider when thinking about all this is who should fund and conduct clinical trials? What is a better model than funded by industry but performed by independents? All new drugs funded by the state, with no industry innovation?! With regard to your questions on CTT and the safety of statins, CTT set out exactly what they planned to do in a protocol paper published in the 1990s, and they did look at some potential safety aspects e.g. death rates from any type of cancer. Data on muscle effects were not sought at that time and were not stated in the protocol. I’m sure they could be looked at in the future, but it would take time to acquire, collate, and analyse all that data. It doesn’t mean there’s a conspiracy or a cover up. What’s required, here, I think is for full accounts to be made available for review by a ‘forensic accountant’. So, in addition to calls from the BMJ (and other parties) for the CTT to make its statin data available for independent scrutiny, I’d like to see the same level of transparency regarding its funding. Ouch. Dr. John, you’ve got your mojo workin’! The HPS study carefully selected patients who were tolerant to statins for the study. No wonder there were few adverse reactions. I suggested to NICE that the recommend Collins’ inclusion/exclusion criteria to reduce adverse reactions. That was ignored – it would have resulted in a massive reduction in numbers taking statins – a deffinite NO-NO. The title of the study included the phrases ” heart protection” and “cholesterol lowering” but nowhere was that proved; it could have been due to other pleiotropic effects. The study itself was designed as a 2×2 factorial experiment with two factors – statin treatment and an anti-oxidant treatment, but the analysis of data on this design was never published. WHY??? What was the statin only versus placebo analysis? Was there an interaction? The vitamin “cocktail” used include Vit E, a minimal Vit C dose and beta-carotene. But the one antioxidant that is depleted by statins CoQ10 was EXCLUDED. It is CoQ10 that Merck (the sponsor of this study) holds two patents combining it with its two statins so it is MUST have been known to be of value. WHY WAS IT NOT USED???? I believe the Canadian authorities require a black box warning on the data insert suggesting concommitant use; something that the FDA, MHRA and EMA have consistently failed to recommend. Exactly, I’ve been looking for these results but can’t find them anywhere. Factorial trials usually publish this, but apparently HPS is special. I simply know from experience with Lipitor that I had some very uncomfortable times with muscle pains that didn’t exist before. No way in this life will I take them again. I read last week that the medical profession were happy that heart attacks had gone down due to the fact that so many people were taking statins. More people were to be encouraged to start taking Statins which left the medics to study some other problem. I could not find the article so I am unsure what was the new problem. Most people I know have never been advised to take Q10,and they seem to have reactions to statins. We keep drawing their attention to searching the information which seriously recommends that they take Q10 if taking statins. It’s very difficult as their answer usually is – You are not my doctor! So what would you say about a cardiologist who prescribed statins to a patient who had recently had a heart attack as a result of cardiomyopathy consequent upon recent chemotherapy? Colour me puce with rage! 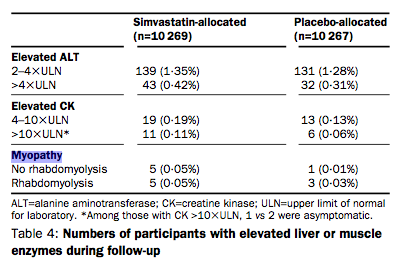 Perhaps the vitamin-only subgroup outperformed both of the groups taking statins? No-one will know…apart from Sir Rory, presumably. A great response from the BMJ to the demands for retraction of the papers. It is encouraging that a respected journal is not allowing itself to be bullied. Unfortunately, there doesn’t seem to be much public information about it, (at least, not that I can find here in Australia). The BMJ should be trumpeting the fact that they are not going to be railroaded, and that Collins’ high-handed tactics, as you suggested, may well have backfired. The conclusion that should be drawn and sent to all doctors is that pontificating statements from people with serious financial vested interests, should be ignored. Unless the CTT allows full and free access to all the data which they hold, by completely independent researchers and statisticians, (who have been checked for lack of conflicting interest), anything which comes out of the CTT should be treated with suspicion. My GP, when asked about reporting adverse reactions, told me that if he filled out reports for all the suspect adverse reactions (SAR) he was told about he would not have time to see any patients. Other doctors have said similar things. Unfortunately, Pharmacovigilance was brought in so that new drugs could be brought to market sooner (and save Big Pharma a lot of money). This meant relying on busy GPs to fill in adverse reaction reports to establish drug safety instead of Big Pharma doing the work. The MHRA have an excellent system but unless docs report SARs it is pretty much useless as it cannot be used to establish incidence of and event, serious or trivial. For example at 18/05/2014 for simvastatin there were 115 deaths reported for 6718 adverse reaction reports. This is 2.55% of adverse reactions involved death. How many docs would report a drug for killing a patient when that drug is claimed to save lives? Further more research in the US suggests that between 1-10% of adverse reactions are reported. Given the situation in UK I think 1% is a generous estimate – deaths due to one statin, simvastatin is in the order of 11,500 deaths and on the basis of 671800 ARs this would mean circa 17,000+ deaths. Not trivial in my view. Mark – what benefit is to be had by trying to paint the study in brighter colors? Methodologically, the screening approach described by Dr.Briffa is terrible. So are the derived threshold values for considering myopathies as present. A “lack of transparency” is a VERY polite and frankly even disingenuous description of what is much more likely to be going on. Come on – it’s 2014. This isn’t a ‘data management issue’ for heavens sake…why does data the public want always appear harder to obtain than data massive drug trials seek? Occam’s razor, Occam’s razor (until a better explanation surfaces). 1) We know that Merck, the sponsor of the HPS study would publish all positive and supportive data, probably in the most statisically favourable light. 2) We also know that Merck is prepared to hide/not publish negative and/or non-supportive data. This was proven by the VIOXX affair which resulted in tens, if not hundreds of thousands of death. 3) We also know that GSK hid negative data on Avandia that was only revealed by a court case. This is probably true for Merck sponsored statin trials. Is it not therefore reasonable to presume on the basis of 1) and 2) above that the data withheld by Dr Collins is, in fact, neutral to seriously negative and unsupportive of statin use? Personally, I will not be convinced of the value of statin use without the full disclosure of the ENTIRE DATA SET of HPS to a fully independent analysis. I would exclude all Big Pharma KOLs, members of the FDA, EMA, MHRA, NICE and charities such as the BHF which receive donations from Big Pharma from such an independent enquiry. 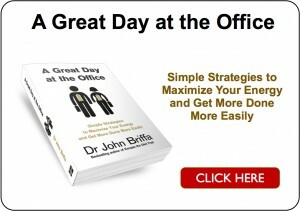 How valuable Dr Briffa’s site is! While there are still a few doctors TRULY concerned for our health there may (yet) be hope for the world. I am skeptical about websites that emphasize the pros or the cons with statins. I wish there were a website that tried to evaluate statins without trying to you either promote them or condemn them, but just told both sides. May I suggest Dr Stephen Sinatra’s et al book “The great Cholesterol Myth:…………..” Dr Sinatra is a US cardiologist and onetime statin supporter who still uses statins in very specific cases. This book is open-minded and reviews both sides. My problem with many of the studies such as the HPS is that they are highly selective of favourable data but leave obviously neutral and/or negative results out; and then hide them in pretense of “confidentiality”. Dr John Ioannidis has, some years later confirmed this view with his finding that many medical research reports are flawed through study design, selection of data, misuse or misinterpretation of statistics, or bias (JAMA. 2005;294:218-228; PLoS Med 2(8): e 124; Arch Gen Psychiatry. 2011 Apr 4.; J Clin Epidemiol. 2011 Mar 29). This is a serious indictment which is confirmed by some of the massive fines imposed by the FDA on Big Pharma companies. That these problems have been largely ignored by the medical establishment is, regrettably, even more serious in my opinion. Leave a Reply to Z.M. Click here to cancel reply.